The restaurant features a menu created with help from celebrated vegan chef Rich Landau. Today, the City of Brotherly Love adds another all-vegan eatery to its growing list of cruelty-free establishments. 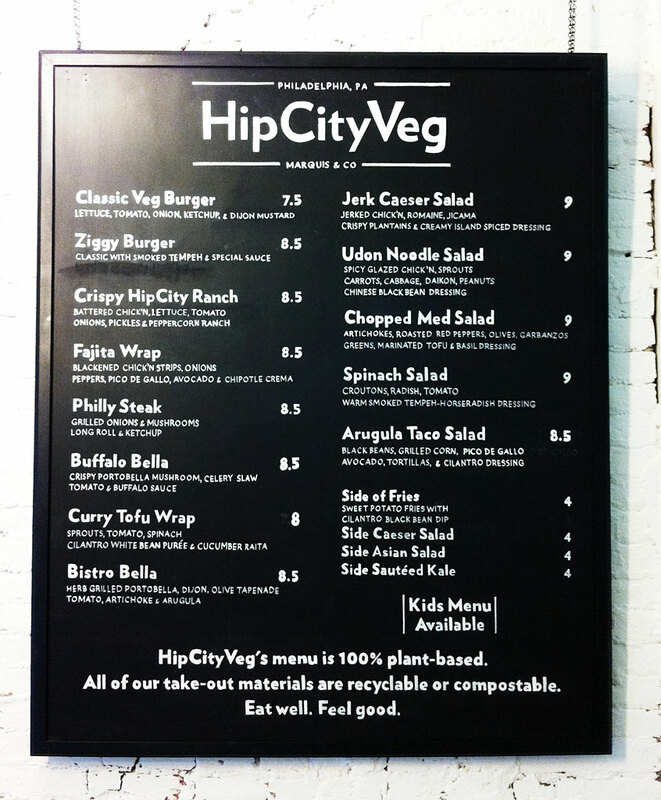 HipCityVeg, located in Rittenhouse Square, features affordable vegan fast food, such as a faux fried-chicken sandwich and a classic Philly cheesesteak, each costing $9 or less. The menu was created under the guidance of chef Rich Landau, co-owner of renowned vegan dining destination Vedge and its now-closed predecessor Horizons. HipCityVeg owner Nicole Marquis, a former manager at Horizons, made an effort to bring the spirit of Landau’s cuisine to a casual environment. “I wanted to put Horizons in a sandwich,” she says.